Like many other students of color who receive messages that they’re not good enough, I had resigned myself to believing that I was either unready or unprepared for college. As a first-generation student, I couldn’t rely on legacy status to give me a leg up in the admissions process and my family certainly couldn’t rely on making donations to athletic booster clubs or local alumni groups. A math teacher realized I was trying to sabotage my chances by not following up with her requests to apply so she did the unthinkable: she called my mother. My mother showed up unannounced at the school the next day, had what sounded like a very spirited conversation with my counselor, and walked out of the office armed with a stack of applications. She didn’t say a word to me as she exited the building as deftly as she had entered. Instead she shot me the stern look that to this day, lets me know that it’s handled. I had known most of my White high school peers since kindergarten. We attended the same middle school together and went through the awkward phase of being a teenager in the late 80’s, which meant neon slouch socks, ridiculous shoulder pads and a mutual affinity for New Edition and New Kids on the Block. These were my friends. The people with whom I spent two weeks every year in the grueling humidity of Virginia summers during band camp. The friends who sought me out to scribble inside jokes in our annual yearbooks. The people with whom I had vowed to stay in touch and laughed uncontrollably as we imagined what our ten year class reunion would look like. We cried together when we lost classmates. And we celebrated together when we beat our school rival in football and basketball. But as college acceptances — and rejections — started to pour in, it became clear that the bubble we had existed in could no longer sustain us. The bubble that had once shielded and protected me, felt suffocating as I matriculated to the University of Virginia. The realities of race, education and American politics became an essential feature of my development as a student, scholar and citizen. The four years I spent at the University of Virginia were amazingly formative. To be a college student in the midst of the OJ Simpson verdict and the Million Man March challenged everything I thought I believed. It was on the UVA Grounds that I encountered students from across the diaspora. Growing up in a small town meant that my worldview was limited. But in Charlottesville, I met students from Eritrea, Tortola and Honduras. I learned to never confuse an accent from Trinidad with one from Jamaica and deciphered the difference between patwa and patois; Dominica and the Dominican Republican. Attending UVA helped me gain a deep appreciation for cultural traditions from Ghana, Nigeria and South Africa while endearing me to the work of professors such as Paula McClain, Ismail Conway, Matthew Holden, Kyra Gaunt, Rick Turner and Reginald Butler who saw higher education as a vehicle for community empowerment. While other universities make a big deal of homecoming, UVA is renowned for its celebrations of Spring Fling and Black Alumni Weekend. Every two years, thousands of Black UVA graduates return to reflect on our history, celebrate our present and invest in our future. It is a special act of affirmation to commune alongside former NFL standouts, renowned journalists, educators and entrepreneurs who share the distinction that we call “wearing the honors of honor.” We recognize the distinction and responsibility that accompanies being graduates of a University that for decades, has garnered one of the highest rates of Black retention and graduation in the nation. Like any American institution, UVA is far from perfect. As students of color we confronted daily the irony of attending a school nicknamed “Mr. Jefferson’s University.” We knew that even as the country’s third President penned the words “we hold these truths to be self-evident that all men are created equal,” Thomas Jefferson enslaved nearly 200 Africans; including his wife’s half-sister, Sally Hemings. Hemings gave birth to at least six children who, by Virginia law, remained enslaved and thus ineligible to inherit the land, property, and freedom of their White father. During my time at the university many students of color chose to live in a housing complex formally called Gooch-Dillard, but referred to by majority students as “the Ghetto.” Our dorms were built on the burial grounds of hundreds of enslaved laborers who may have never imagined that someday, their descendants would be educated at the very institution that once denied their humanity. To some, we are our ancestors’ wildest dreams. But with that distinction, comes great responsibility. That responsibility prompted many of us to return to the university in 2015 when an African-American student named Martese Johnson, was falsely arrested and bloodied by members of the local Alcoholic Beverage Control force. Hundreds of Black alums and our allies marched to the President’s House to share a list of demands, stand in solidarity with students whose presence was constantly questioned and make real Jefferson’s belief that “every citizen should be a soldier.” We realized that our very presence was an act of resistance. And we affirmed the Latin phrase that has long guided the experience of UVA students of color: Aut inveniam viam aut faciam. “I will find a way or I will make a way.” We made that way again in 2017 when White supremacists descended upon our beloved Grounds armed with tiki torches and chanting “We will not be replaced.” We watched in shock as 32 year-old Heather Heyer was killed fighting for the vision of democracy and inclusion that Jefferson wrote about. And we listened in disgust as President Donald J. Trump attempted to excuse the racist, anti-semitic actions of the Unite the Right rally by condemning “both sides.” We knew that our beloved university community deserved more. But more importantly, our country deserves more. 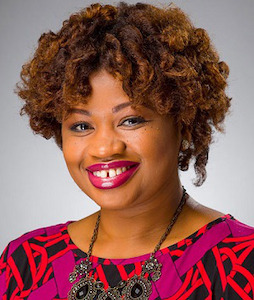 Dr. Khalilah L. Brown-Dean is an associate professor of political science at Quinnipiac University where she writes about American politics, political psychology, and public policy. Her book, Identity Politics in the United States, will be released by Polity Press in September 2019. You can follow her on Twitter @KBDPHD.